Do you want to visit a virtual reality company in Hong Kong? Curious what is involved in VR in Asia? Then the crew here at HK VR wants to connect you with an agency who can show you around the industry. What are you looking for? What kind of experience in virtual reality and augmented reality would you like? There are various ways to experience VR – from renting VR equipment for your own event or office use, to visiting a VR station center and renting by the hour on-site. We also have VR companies who are more than happy to have you stop by their office and see what they are working on. They have a project demo room and can show you a thing or two. So what are you waiting for? Let’s get you on the fast track to experiencing VR and AR in Asia’s hotspot – Hong Kong! Name – who are we going to be contacting with? Phone – also state if you are using Whatsapp with this phone number. Type of tour – what are you looking to do, rental, on-site, or agency project demos? NOTE – let us know when you are in town and what your expectations and requests are. 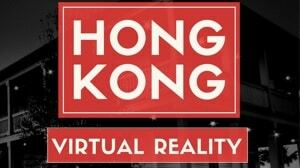 Looking forward to having you experiencing VR in Hong Kong today!